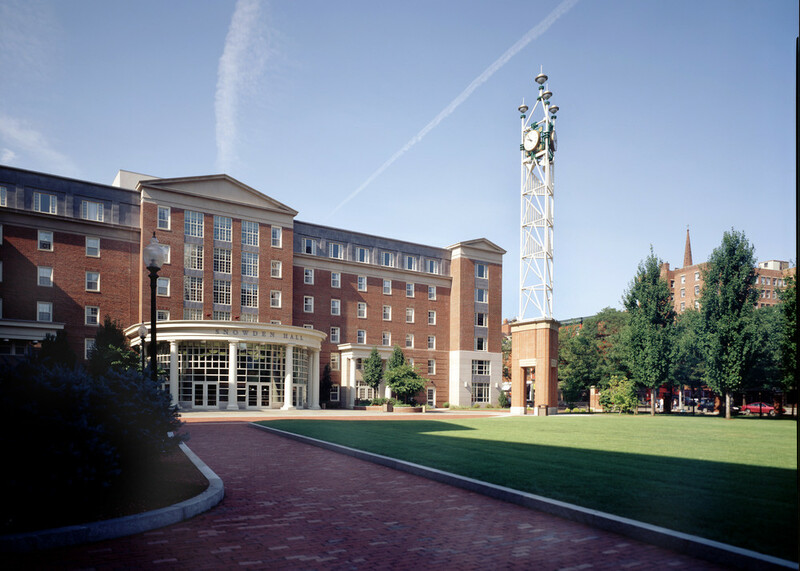 Due to the success of McNulty Hall, Johnson & Wales University decided to build Snowden Hall, a 134,000SF, 482 bed, 7-Story dormitory, located in downtown Providence. The facility includes one bathroom per every two students, one common room and one laundry room per floor similar to neighboring McNulty Hall. In addition, Snowden Hall also has a full kitchen and dining facility to serve the downtown Providence Campus. To tie both dormitories together, the university decided to add brick and granite walkways to create a visually pleasing courtyard as a showcase.